Research Roundup: FDA proposes study to reduce animal use; sugar supplement to fight cancer and more! Welcome to this week’s Research Roundup. These Friday posts aim to inform our readers about the many stories that relate to animal research each week. Do you have an animal research story we should include in next week’s Research Roundup? You can send it to us via our Facebook page or through the contact form on the website. FDA Commissioner proposes dog study aimed at reducing use of animals in research. On November 16, FDA Commissioner Scott Gottlieb issued a proposal where the “goal is to do one single study involving a small number of dogs—where the dogs will only be subject to minimally invasive blood sampling, and adopted as pets at the completion of the short trial—to eliminate the need for the use of dogs in certain types of future studies, somewhere they might have been euthanized.” The description of the study is short on details, raising questions as to how a single study with limited animals could produce results that will lead to the elimination of the need of animal models. The FDA is accepting public comment on a white paper outlining this proposed study for the next 60 days. Sugar supplement to fight cancer. When mice with pancreatic, lung or skin cancer were fed mannose, they found that the growth of tumours, with no obvious side-effects, was slowed. 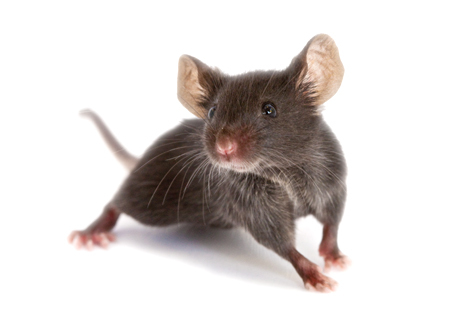 Additionally, when mice were given mannose in conjunction with common chemotherapy drugs, cisplatin and doxorubicin, their efficacy was enhanced–slowing the growth of tumours, reducing their size and increasing the lifespan of some mice. While this research is very promising, one should not self-prescribe mannose, until further replication and safety and efficacy tests are performed. Published in Nature. The sights and smells of food prepare the body for digestion. New research suggests the liver prepares itself for digestion when triggered by the sights and smells of food. In addition to helping explain how our bodies react to the presence of nourishment, the study might also aid efforts to better understand insulin resistance in humans. Scientists at the Max Planck Institute for Metabolism Research studied mice to determine which specific neurons were activated in animals exposed to the sights and aromas of food. They compared this activity to what is witnessed in those that were freshly-fed. These brain cells are also thought to prepare the liver for nutrient and calorie intake. Published in Cell Reports. Mexican fish may offer clues to treating cardiovascular disease. 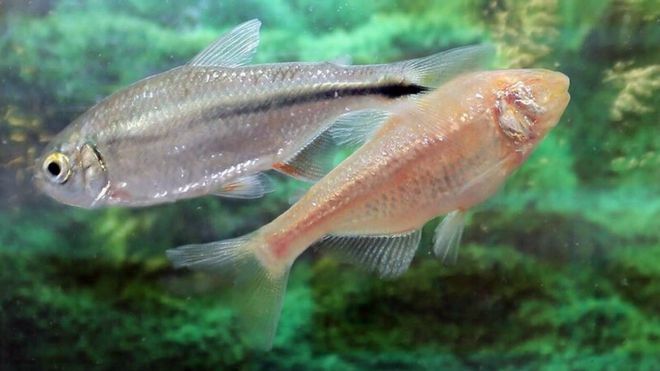 The mexican tetra fish can regenerate heart tissue–now scientists have identified three parts of the genome involved in this process. Following heart injury, two genes in particular, lrrc10 and cavelion were upregulated in their expression. In zebrafish, another species with the capacity of self-regeneration, when the lrrc10 gene was switched off, they were unable to regenerate heart tissues following injury–providing further evidence of the role of these genes. These initial reports suggest that it may one day be possible to regenerate damaged hearts in humans, by genetic modification techniques such as CRISPR-Cas9. Published in Cell Reports. Source: The Mexican tetra fish that lives in the rivers of Northern Mexico can heal its heart, while its cave-dwelling relative cannot. Targeting a gene involved in pre-eclampsia. Pre-eclampsia, which leads to high blood pressure during pregnancy, affects about 10 percent of pregnant women and is a serious concern. It occurs when the placenta doesn’t function as it should. In response, the body releases proteins in an effort to boost the delivery of nutrients and oxygen to the fetus. However, these same proteins can lead to dangerously high blood pressure levels for the mother. Recently, University of Massachusetts scientists studied monkeys to identify a possible treatment. The researchers have developed an RNA therapy that turns off key genes in the placenta. The scientists say they are being very cautious due to concerns about birth defects. Published in Nature Biotechnology. Posted on November 23, 2018 November 22, 2018 by EditorPosted in News, Research RoundupTagged cancer, digestion, heart disease, mannose, pre-clampsia, reduction. Previous Previous post: Research Roundup: VA to continue dog research, Zika infection and Dengue risk, exercise reduced drug cravings, and more! Next Next post: Research Roundup: Alzheimer’s vaccine successful in animal trials, HIV vaccine candidate shows promise and more!